Tyco wire and cable products are designed for challenging environments and demanding applications. Wire is offered for high temperature, light weight, thin wall, dual wall and single wall requirements. Both military spec and commercial grade wire constructions are available. Cable products are manufactured in all of the following varieties: multiconductor, coaxial, data bus and power cables. Military spec wire, SPEC 44 and SPEC 55 were originally designed for aerospace and military applications, but are now used throughout many industries. SPEC 44 is a dual wall construction rated at 150°C and SPEC 55 is offered in a single or dual wall construction rated at 200°C. The commercial line of wire is the FlexLite family. FlexLite DW is the dual wall wire rated at 125°C, FlexLite TW is a thin wall rated at 135°C, FlexLite MT medium temperature rated at 150°C, FlexLite HT high temperature rated at 200°C and FlexLite TX ultrahigh temperature rated at 250°C. Custom designed and standard multiconductor cables are available for a variety of military and commercial applications. 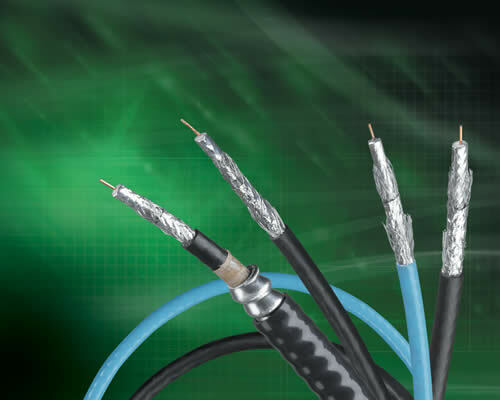 Cheminax coaxial cables are used in electronic signal circuits made to perform to more exacting specifications than the standard radio grade (RG) or UL recognized (UR) constructions. Data bus cables are primarily used to network trucks, buses, fire engines, military vehicles and earth moving equipment. They meet the requirements of SAE J1939/11 & 15. Power cables with a choice of jacket materials are made with excellent flexibility, along with size and weight savings that have improved performance over more conventional power cables.